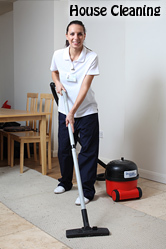 End of lease cleaning from House Cleaning Melbourne can do a lot for you. Moving house? Our friendly and experienced team can deliver thorough and professional vacate cleaning services that will surpass even the most exacting standards. Arguments with landlords and bond deductions can be avoided meaning your moving experience is a happy one allowing you to focus on your new start. To achieve our own high standards, we believe end of lease cleaning means that absolutely everything is cleaned. Feel free to check out the end of lease cleaning checklist we have put together based on our years of experience in the end of lease business. We guarantee the standard of our work and if either you or your landlord is in any way unhappy with our service, we will provide another clean within 48 hours free of charge. Put simply, we are not happy unless everyone else is. By employing House Cleaning Melbourne, you are employing reference-checked, experienced cleaning experts who will carry out the service in a polite and professional manner. To give you further piece of mind, we are covered by complete liability insurance so you are protected from damage. In addition, all of our cleaning experts employ the use of equipment and materials that are highest environmentally friendly standards so that you get clean, comfortable home with a clear conscience. Please have a look at our end of lease cleaning prices, we are sure they are some of the lowest in the industry. If you have any questions, wish to receive a no obligations written quote or else proceed to book a cleaning appointment, please get in touch with one of our friendly staff today. Either give us a call 03 8652 1022 or Get End of Lease Cleaning Now. Within five minutes, you’ll be well on your way to a comfortable and spotless home, not to mention a happy move.